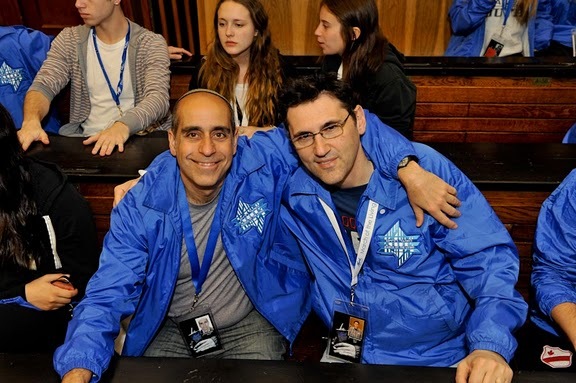 On May 1, 2011, thousands of Jewish teens from countries around the world will share in a once-in-a-lifetime experience, when they march the three-kilometer distance separating Auschwitz from Birkenau, the largest concentration camp complex built by the Nazis during World War II. The March takes place on Yom Hashoah - Holocaust Remembrance Day - established in memory of the six million Jews who were murdered during the war. As one of the marchers representing some thirty nations, you will walk hand in hand in silent tribute to all victims of the Holocaust. Approximately 700 Jewish high school students and young adults, from a variety of religious and educational backgrounds from all across Canada are expected to participate in the 2011 March of the Living. The group will be accompanied by Holocaust Survivors and chaperones, including doctors, musicians, and religious leaders. The March of the Living will bring together Jewish youth from Israel, the United States, Mexico, France, Great Britain, South Africa, Australia, and South America. There will also be groups from Eastern Europe and countries of the former Soviet Union, Hungary and Romania. What I've discovered after spending 24 hours with two hundred 17 year-olds is that our kids are no more annoying than any other teenagers. So far the trip is a complete success. I guess you are following the pics of the march. I trieds to send this pic to you & it bounced back. BTW not suprised...that was a typical Cleve comment! Great pics of Jonah. I love the black and whites.